Roberto Martinez was almost instantly installed as the favourite to be the next Everton manager once it was confirmed that David Moyes was off to Manchester United and he is now back at the head of the market. For a short period, the current Wigan boss drifted out to 3/1 to take over at Everton, with under-21 boss and former defender Alan Stubbs taking over at the forefront of the betting. However, it is Martinez that has been supported again and he is now as short as 2/1 to be the next Everton manager. 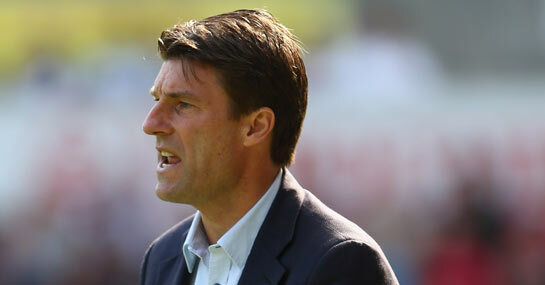 The other manager being backed for the Everton post is Michael Laudrup, who has shortened into 16/1. In terms of the managers being linked with Everton, Laudrup would arguably be the biggest coup and there are certainly grounds to believe that the squad at the club would allow for a similar playing style currently utilised at Swansea. Meanwhile, the speculation is that Laudrup’s agent was present as Everton fell to defeat to Chelsea on the final day of the season. The big problem Everton may have in luring Laudrup is that the gulf in class with Swansea is not overly large and Laudrup is also generating interest from the likes of Real Madrid, PSG and Monaco. But on the whole, the battle to be the next Everton boss remains an open one, with four managers currently trading at 6/1 or shorter. Stubbs remains a frontrunner at 11/4 and would appear the best choice if the club wants to build on the legacy that Moyes has built, given that he has been a valued member of the management team. He would also seem the best equipped to bring through any talented youngsters. Phil Neville has now left the club as a player and has no managerial experience, but Ladbrokes are offering the top price of 6/1 that he takes over at Everton. The other shorter-priced candidate is Celtic boss Neil Lennon at 5/1.